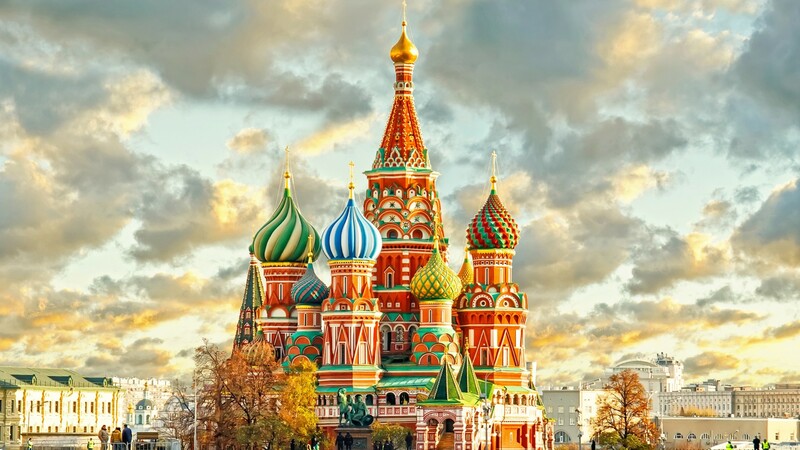 St Basil’s Cathedral is one of the most recognisable buildings in the world and is an iconic symbol of Moscow. 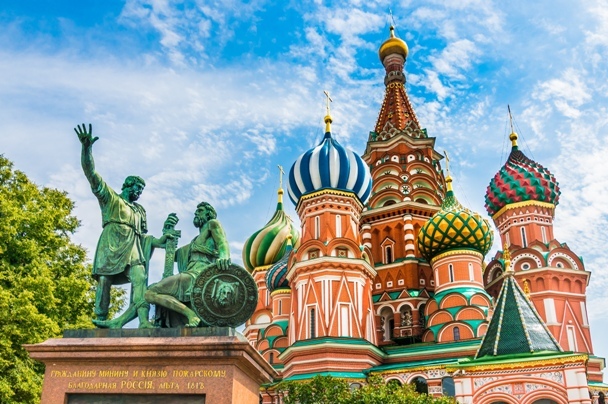 A true architectural wonder, the cathedral was commissioned by Ivan the Terrible in the 1500’s and is lavishly decorated with vivid bold colours, striking patterns and shapes. The building is made up of nine churches connected by a web of narrow corridors; each church is lavishly decorated with intricate frescoes; however the exterior of the building is equally as impressive with its famous colourful onion domes! 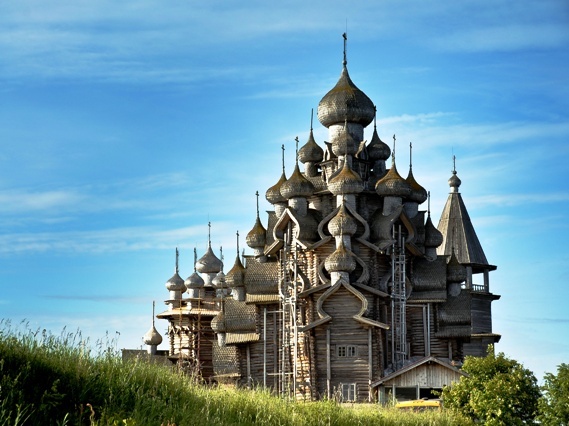 A common myth is that once the building was complete, Ivan had the architects blinded to be sure that they never build anything as beautiful again. Welcome to the gorgeous capital of Russia - Moscow! Upon arrival your driver meets you at the airport and transfers you to the port for boarding your cruise ship. Dinner is served onboard. 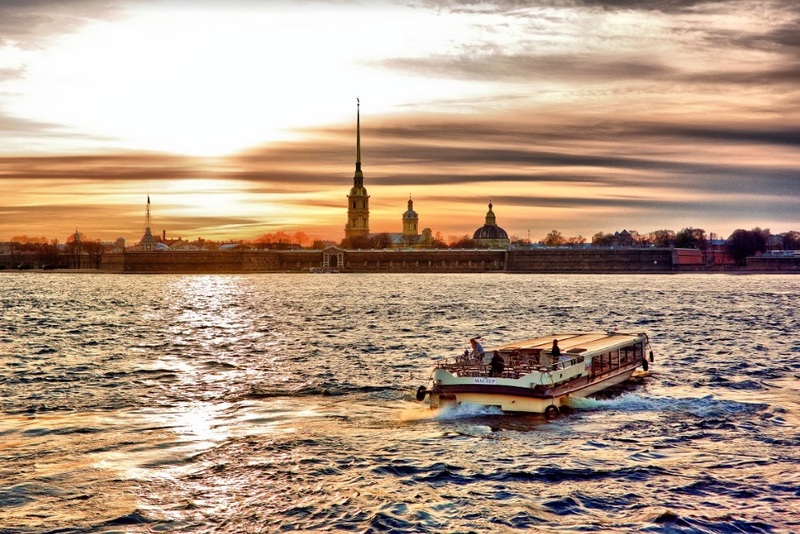 Today you have a 4-hour panoramic bus city tour around the most interesting Moscow sights, including Tverskaya street, the Cathedral of Christ the Saviour, the Historical Museum, GUM and Red Square (free time). After lunch at the city restaurant you have a guided tour to the Kremlin territory and visit one of its Cathedrals. 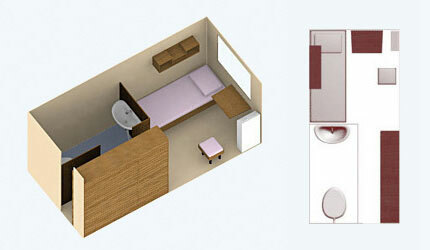 Optional tour of the Armoury Chamber is available (should be booked in advance). After the tour you return to your ship. Optional evening activity: National folk show "Kostroma", circus performance (should be booked in advance) or Moscow by night city tour with a metro ride. 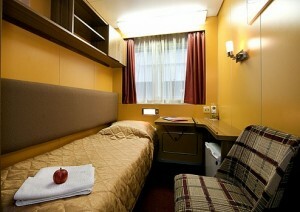 This day is free for you to spend it at your leisure either relaxing onboard or exploring the city center on your own. Optional tours: trip to Sergiev Posad, visit to the Tretyakov Gallery, tour to the Novodevichy Convent or transfer to the city center. 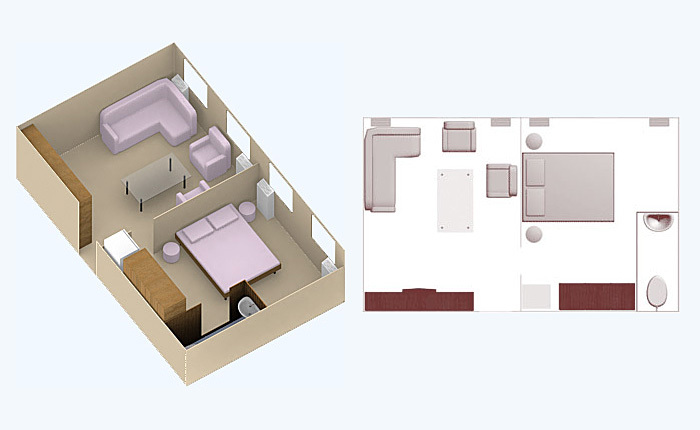 After the optional tours you return onboard and your amazing cruise starts. Uglich of today used to be the seat of princedom back in the 13th century. Uglich is the town where one of the most momentous events of the Russian history took place in the 16th century. It was then that the last member of the Ruirik dynasty, the young Tsarevich Dmitry was murdered. That dreadful event gave rise to what later became known as the time of trouble and only after 15 years the Romanov’s dynasty’s succeeding to the throne. Today’s Uglich does cherish its history and you can still see the relics of the past. That is the Church of St Dmitry on the spilt Blood. Built in 1690 on the spot where Dmitry had been murdered it appears on the horizon with its red walls and blue domes as one sails north on the Volga. 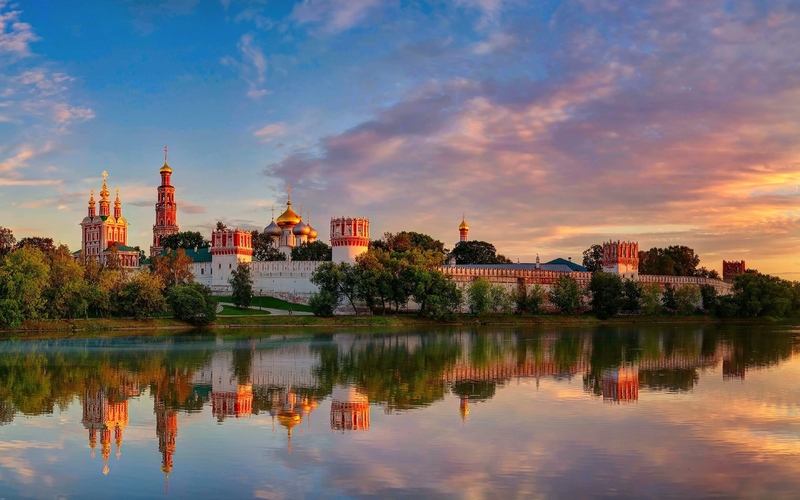 Today you arrive have a walking city tour with visits to the territory of the Uglich Kremlin, the Church of St. Dimitry on the Blood and the Transfiguration Cathedral. Among the precious jewels of old Russian cities Yaroslavl shines with a par¬ticular bright, unfading light. Founded in 1010 by Prince Yaroslav the Wise, the city prospered as a trading port and a center of textile manufactur. No other city in Russia except Yaroslavl can boast such a wealth of the 17th - cen¬tury architecture. In 2010 the city celebrated its millennium. 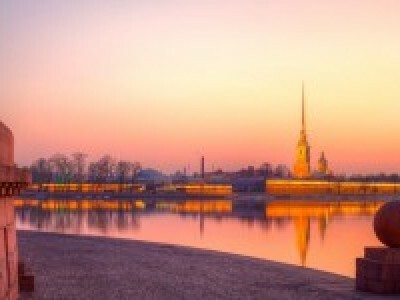 Today you make a stop in Yaroslavl and have a bus city tour with visits to the Church of St. Nicholas the Wonderworker, the local market (free time), the Church of St. Elijah the Prophet (from the outside) and the former Governor’s House where you enjoy an interactive tour with a music concert and dances. 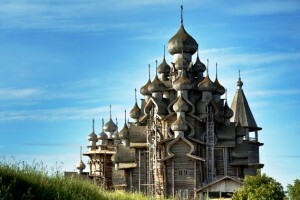 Inhabited by talented craftsmen, Mandrogui is a reconstructed village, built on the bank of the Svir River to illustrate the traditions and lifestyle of Russia's past. 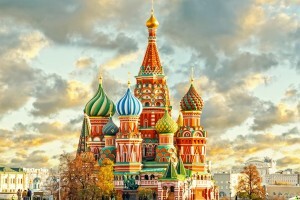 Experience provincial Russian lifestyle, watch the artisans and craftsmen mak­ing “matryoshkas” (Russian nesting dolls), carving wood, sewing, and ... visit the Vodka Museum, which boasts 250 varieties of the national drink. Today you have some free time to stroll around the village. 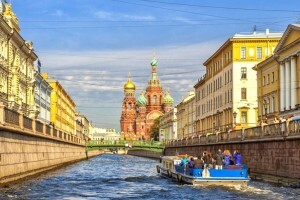 Upon arrival in St. Petersburg, you have a guided panoramic tour around the main city attractions, including Nevsky Prospect, the St. Isaac’s Cathedral and the Saviour on Spilled Blood. Later you have a walking tour to the Peter and Paul Fortress with a visit to the St. Peter and Paul’s Cathedral. 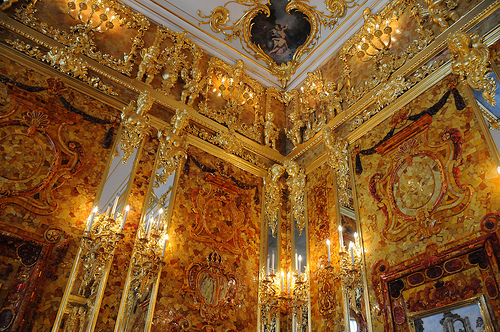 After lunch at the city restaurant you go on a 3-hour guided tour of the Hermitage Museum. Optional evening activity: Folk Show or St. Petersburg city tour by night. Today you travel to the outskirts of St. Petersburg to see the former summer residence of Russian tsars and emperors - Peterhof. You enjoy a walking tour in Lower Park exploring the Grand Cascade with the Samson Fountain and the Monplaisir Palace. 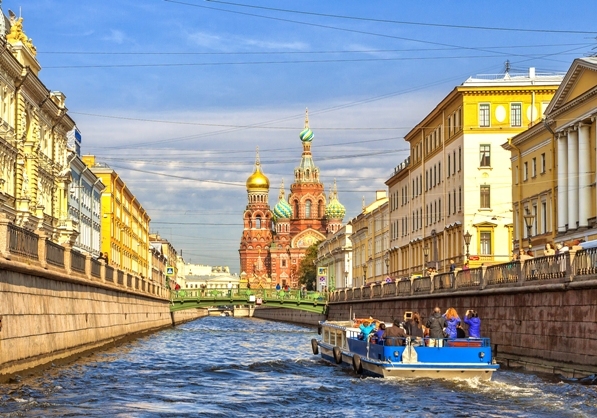 Optional evening activity: St. Petersburg rivers and canals boat ride. This day is free for you to spend it at your leisure. 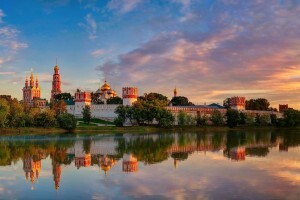 Optional tour: trip to Pushkin and Pavlovsk. In Pushkin you explore the Catherine’s Palace visiting its Grand Hall and Amber Room, and take a walk in its beautiful park. 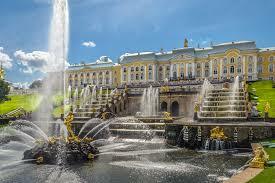 In Pavlovsk you visit the famous Paul Palace and stroll through the park. Optional evening activity: ballet performance. After breakfast you disembark your ship and your driver transfers you to the airport for your flight back home. 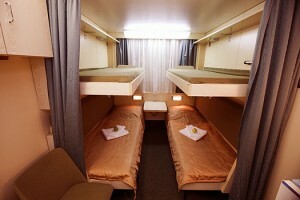 We arrive at the airport in St Petersburg where your driver awaits, ready to transfer you to the ship. On board, there'll be a cocktail reception giving you the perfect opportunity to mix with our fellow passengers. Leaving the ship docked in port, you will head into St Petersburg today, your destination perhaps Russia's most iconic museum. The Hermitage, housed in the Tsar's Winter Palace, is now a permanent exhibition of more than three million works of art. All the world's great artists are represented, from Leonardo da Vinci to Picasso and everyone in between. Commanding a magnificent location on the bank of the river Neva, this Baroque-style palace is undoubtedly the major attraction of St Petersburg. Today you will enjoy a guided panoramic tour around the main city attractions, including Nevsky Prospect, the St. Isaac’s Cathedral and the Saviour on Spilled Blood. 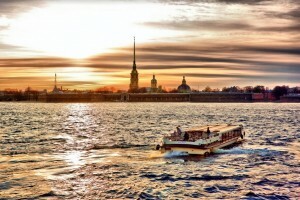 Later you have a walking tour to the Peter and Paul Fortress with a visit to the St. Peter and Paul’s Cathedral. 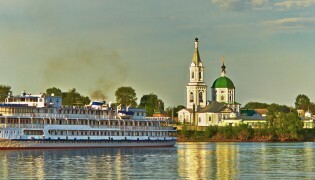 After breakfast, the ship arrives in Moscow. Your guided bus tour will pick out the highlights, including a panoramic view of the city from the Sparrow Hills observation platform and a visit to the Poklonnaya Hills monument in honour of the Russian victory in the Great Patriotic War (World War II). 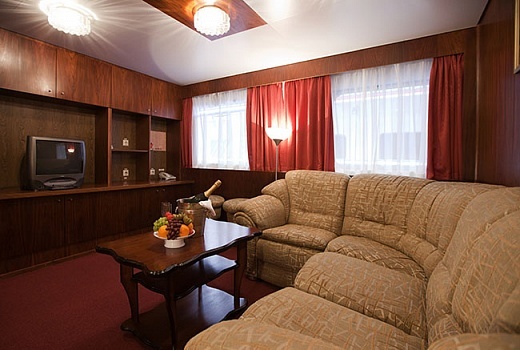 Heading to the centre, you will visit Red Square and also the home of the Bolshoi ballet. Today you have a guided tour to the Kremlin territory and visit one of its Cathedrals. Optional tour of the Armoury Chamber is available (should be booked in advance). After the tour you return to your ship. Optional evening activity: National folk show "Kostroma", circus performance (should be booked in advance) or Moscow by night city tour with a metro ride. Enjoy breakfast at leisure on board ship prior to your departure transfer to the airport. If you wish, extra days in Moscow can be arranged. Get in touch with our destination managers for a quote. Motorship «Z. Shashkov» is a comfortable four-deck vessel (type 302). Built in Germany in 1986, refurbished in 2013, the motorship is equipped with modern navigational facilities and exceeds the speed of 25,5 km per hour (around 17 MpH). 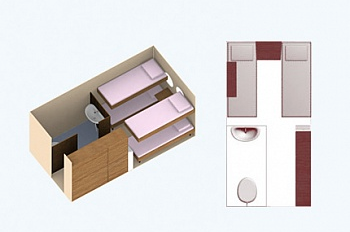 Length – 129 m. Width – 16,7 m. Immersion – 2,9 m. Passenger capacity – 280 (quad cabins for double accommodation). 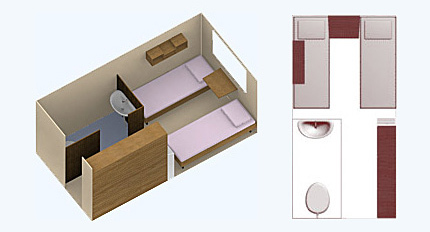 One-bed outside cabin with a large opening scenic window, around 8 square meters in size, equipped with private facilities, heating and ventilation system, refrigerator, wardrobe, 220 volt socket, radio. Cabin is furnished in a practical style. 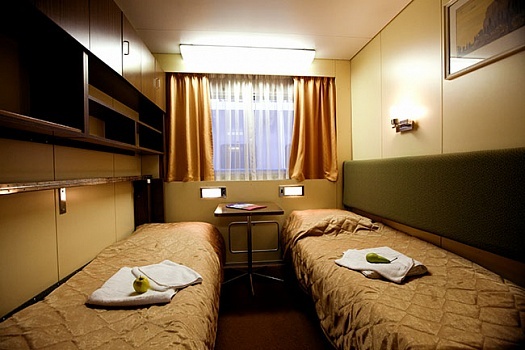 • On board entertainment including Russian language course and Russian songs lessons, live music concerts, dancing music in bars nightly, Captain’s bridge tour, etc.